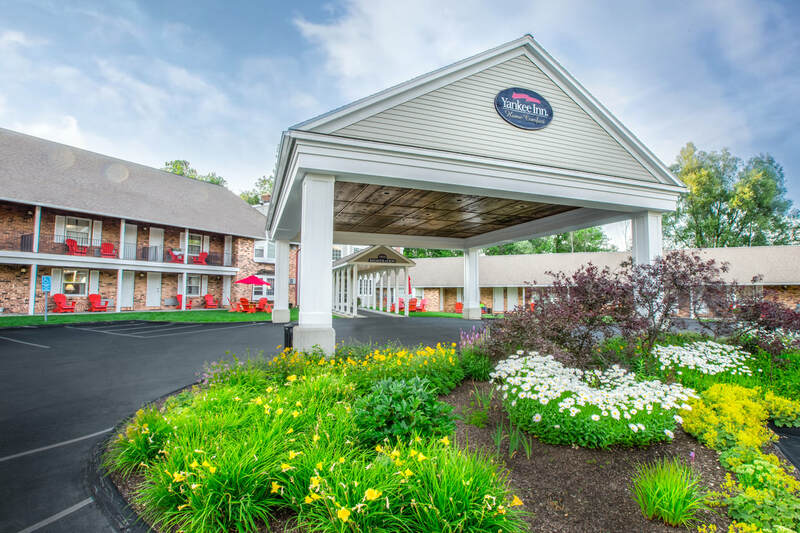 On a 111-acre wildlife sanctuary overlooking a private pond surrounded by the scenic natural beauty of The Berkshires, you’ll find the Yankee Inn. It’s cozy and comfortable here, where the day’s rhythms down shift into the undisturbed, easygoing pace of the 1950’s when we were an upscale motor lodge catering to travelers seeking to drop off the grid and unwind. The warm, inviting spirit is palpable, creating the perfect setting for families, couples and groups to relax, reconnect and rediscover how special time together can be. Explore nearby attractions like the Norman Rockwell Museum, Edith Wharton's The Mount, Herman Melville's Arrowhead, Tanglewood, Vanderbilt Hall and more. Poke around the charming New England country towns of Lenox, Lee, Stockbridge, Great Barrington and Pittsfield. Enjoy exhilarating cross-country and downhill skiing at Butternut Basin, Jiminy Peak, Bousquet and Catamount resorts. Then again, a facial at next door’s Essentials Day Spa, a stroll to a nearby restaurant for a farm to table meal in downtown Lenox and a glass of wine by the fireplace in your suite might be all the activity you seek. 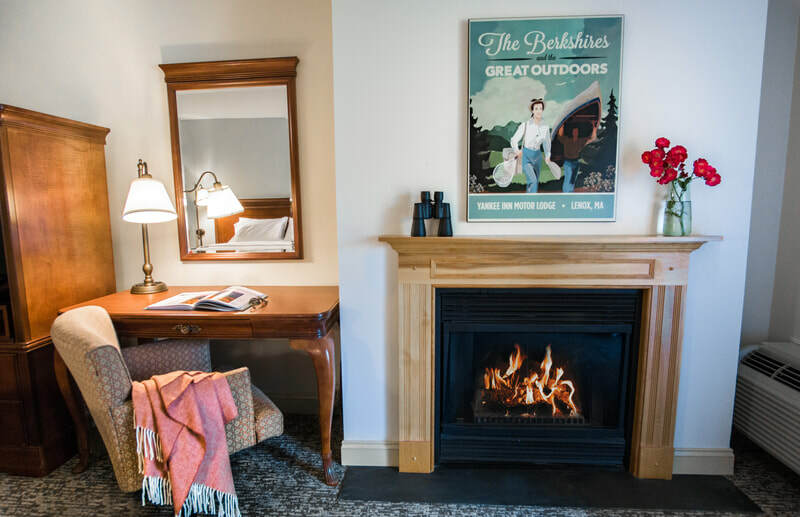 Whatever brings you to The Berkshires, a memorable New England getaway is waiting for you at the Yankee Inn. From simple yet cozy and comfortable economy rooms to charming suites with antique four-poster canopy beds, exposed brick walls and wood-burning fireplaces, find the perfect accommodations to meet your needs. 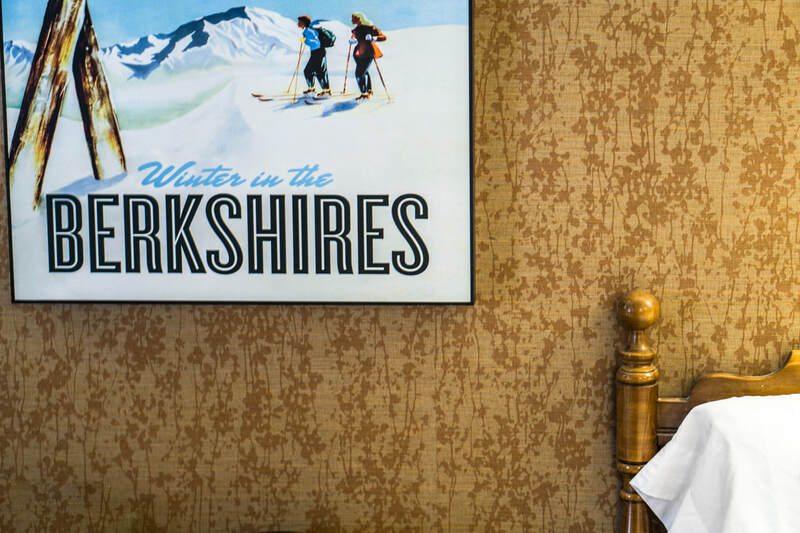 When winter comes and a blanket of snow covers The Berkshires, take advantage of these fantastic snow and ski packages at The Yankee Inn. You've got nothing to lose! Book this package and get the best value around! Depending upon our availability you'll be entered to receive a free upgrade. If an upgrade happens to not be available, we'll treat you to a delicious bottle of wine at check in! It's a win-win! ​offers wonderful activities and attractions in a setting of scenic natural beauty.